Could Adoption be for you? 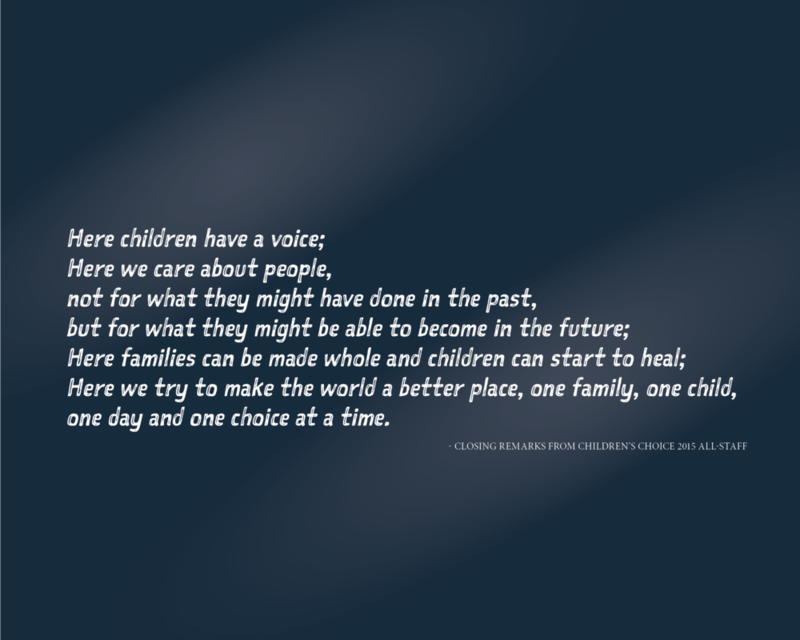 At Children’s Choice we bring together a dedicated, highly trained staff with a faith-based philosophy to support individuals and families who want to open their homes and their hearts to foster children. Being a foster parent requires both incredible commitment and compassion and Children’s Choice is here to support foster parents every step of the way. Our decades of experience and “can do” attitude form the foundation for changing lives – yours and theirs. In all of the communities in which we serve, our specialized foster care, kinship, and adoption services address systemic challenges at the family level. Individualized, supportive services respect each person's right to choose and empower our neighbors to achieve their highest potential.